Front of the recipe card for Banana Griddle Cake. 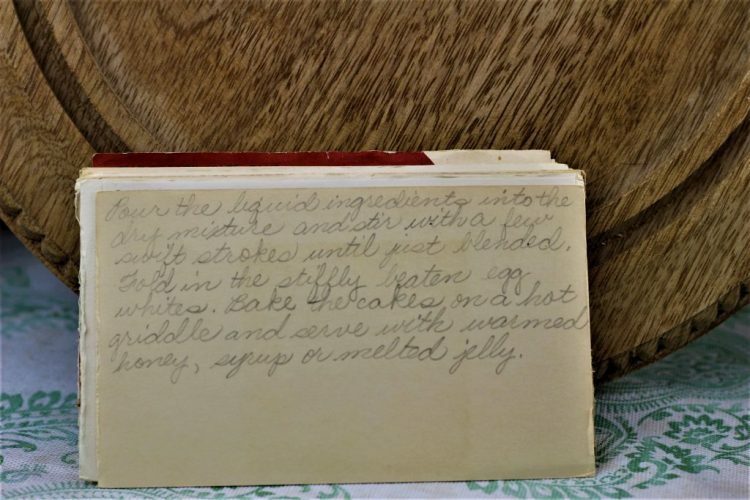 Back of the recipe card for Banana Griddle Cake. 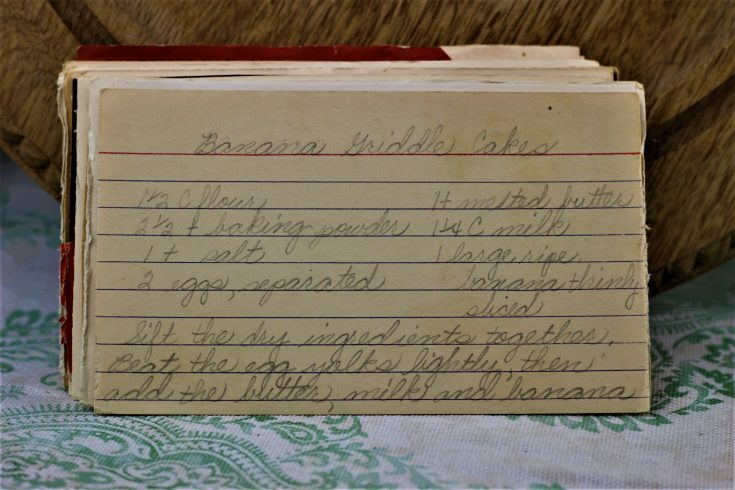 There are lots of fun recipes to read in the box this recipe for Banana Griddle Cake was with. Use the links below to view other recipes similar to this Banana Griddle Cake recipe. 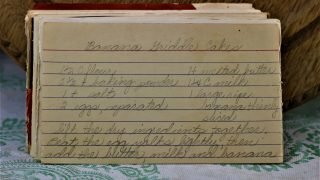 If you make this Banana Griddle Cake recipe, please share your photos and comments below! Beat the egg yolks lightly, then add the butter, milk and banana. Pour the liquid ingredients into the dry mixture and stir with a few swift strokes until just blended. Bake the cakes on a hot griddle and serve with warmed honey, syrup or melted jelly.